A sea cucumber is a sea floor dwelling, non-aggressive marine animal. It has an elongated cylindrical body, which ranges from a few centimeters to a few meters in length. An irritation occurs on contact with the expelled toxic threads, excreta, outer skin, or ejected innards of the sea cucumber. What is Sea Cucumber Irritation? What are the Causes of Sea Cucumber Irritation? 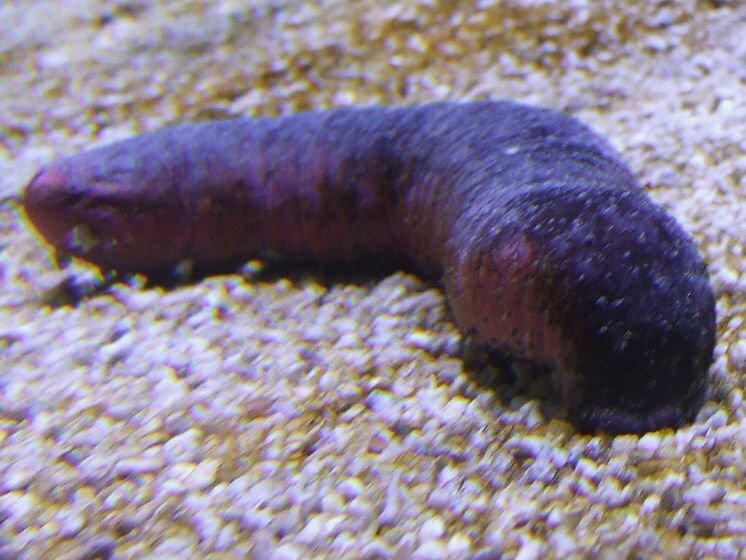 What are the Signs and Symptoms of Sea Cucumber Irritation? How is First Aid administered for Sea Cucumber Irritation? If a Sea Cucumber Irritation (or sting or bite of a marine creature) is suspected, it is always important to call your local emergency helpline number (or 911 in the US) without any delay, and provide as much information as possible, even if the individual does not have any symptoms. Who should administer First Aid for Sea Cucumber Irritation? The individual himself/herself or someone nearby may begin to administer First Aid. Call your local emergency helpline number or 911 immediately as mentioned before. What is the Prognosis of Sea Cucumber Irritation? The prognosis of Sea Cucumber Irritation is dependent on the potency of the toxin, the severity of reaction, and timely manner in which treatment is administered. How can Sea Cucumber Irritation be Prevented? Kiew, P. L., & Don, M. M. (2012). Jewel of the seabed: sea cucumbers as nutritional and drug candidates. International journal of food sciences and nutrition, 63(5), 616-636. Kerr, A. M., Netchy, K., & Gawel, A. M. (2006). Survey of the shallow-water sea cucumbers of the central Philippines. A Report to the Municipalities of Negros Oriental, Cebu and Bohol, local Bantay Dagat groups, Coastal Conservation and Education Foundation, Inc., and Silliman University-Angelo King Center for Research and Environmental Management. University Of Guam Marine Laboratory. Gao, F., Zhang, Y., Li, Y., Xu, B., Cao, Z., & Liu, W. (2016). Sea cucumber-inspired autolytic hydrogels exhibiting tunable high mechanical performances, repairability, and reusability. ACS applied materials & interfaces, 8(14), 8956-8966. Sant, G. (2006). CITES and sea cucumbers. In workshop on the conservation of sea cucumbers in the families Holothuriidae and Stichopodidae (p. 104). Flammang, P., Ribesse, J., & Jangoux, M. (2002). Biomechanics of adhesion in sea cucumber Cuvierian tubules (Echinodermata, Holothuroidea). Integrative and comparative biology, 42(6), 1107-1115. Aminin, D. (2016). Immunomodulatory properties of sea cucumber triterpene glycosides. Marine and Freshwater Toxins, 381-401. Plantz, S. H. Sea Cucumber Irritation. Plantz, S. H. Sea Sponge Irritation. Arundina, I., Suardita, K., Setiabudi, H., & Ariani, M. D. (2016). Golden Sea Cucumbers (Stichopus Hermanii) as Growth Factors of Stem Cells. Journal of International Dental & Medical Research, 9(3).